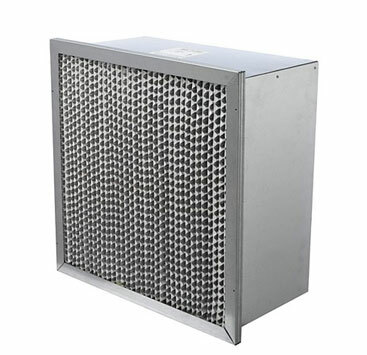 Ashrae Box Filters - Air Filters, Inc.
- Continuous sheet of waterproof, non-combustible glass microfiber. - High flute corrugated aluminum separators. - Rigid wood or metal framing. - Box or header styles. - 4 efficiencies: 40%, 65%, 90%, or 95%. - Capacities form 500 to 2000cfm. - 8 standard face dimensions with 2 optional depths: 6" or 12".